(22th Feb 2016) The UNESCO Chair in Global Learning and Global Citizenship Education at the UCLA Graduate School of Education & Information Studies and the Paulo Freire Institute-UCLA hosted the conference. The Boston Global Forum was proud to participate in the International Research Conference on Global Citizenship Education held on Feb. 8 at the Faculty Center of the University of California at Los Angeles. 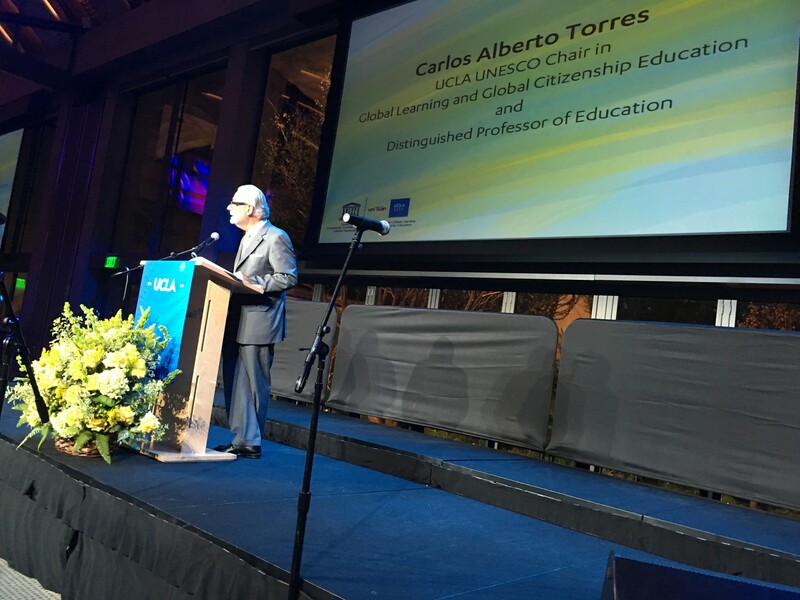 The UNESCO Chair in Global Learning and Global Citizenship Education at the UCLA Graduate School of Education & Information Studies and the Paulo Freire Institute-UCLA hosted the conference. Presiding at the meeting were Marcello Suarez-Orozco, dean of UCLA’s Graduate School of Education and Information Studies; Dr. Carlos Alberto Torres, Distinguished Professor of Education and UNESCO Chair in Global Learning and Global Citizenship Education as well as director of the Paulo Freire Institute and president of the World Council of Comparative Education Societies, and Nguyen Anh Tuan, chairman of the International Advisory Committee of the UNESCO-UCLA Global Citizenship Education (GCE) program and chief executive and editor-in-chief of the Boston Global Forum. More than 20 distinguished professors from around the world attended the conference. The conference provided a much-needed space for dialogues and regional perspectives by experts from multiple disciplines who described innovative approaches and best-practices and critiqued the theories, methodologies, policies and pedagogies of GCE.